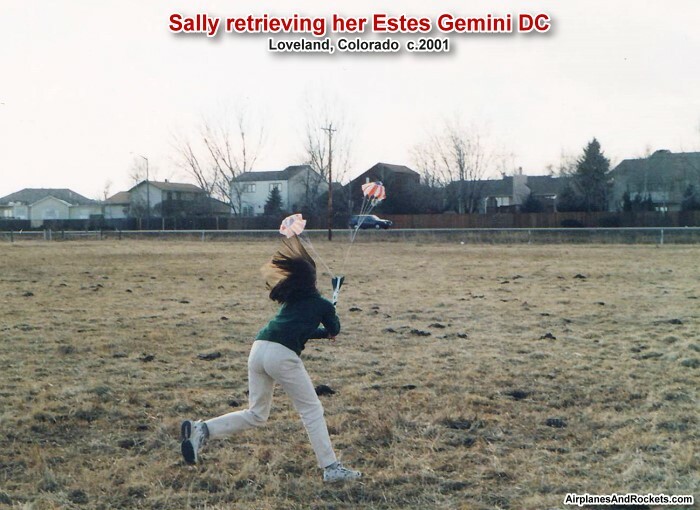 The Estes Gemini DC rocket was Sally's second rocket, the first being a Zinger. She did most of the building, and I did the paint job. The balsa grain was filled with clear dope that had talcum powder mixed in, then the paint was Testors spray enamel. The spiral was created by wrapping two pieces of 3/4" wide masking tape side-by-side, then removing one of them. 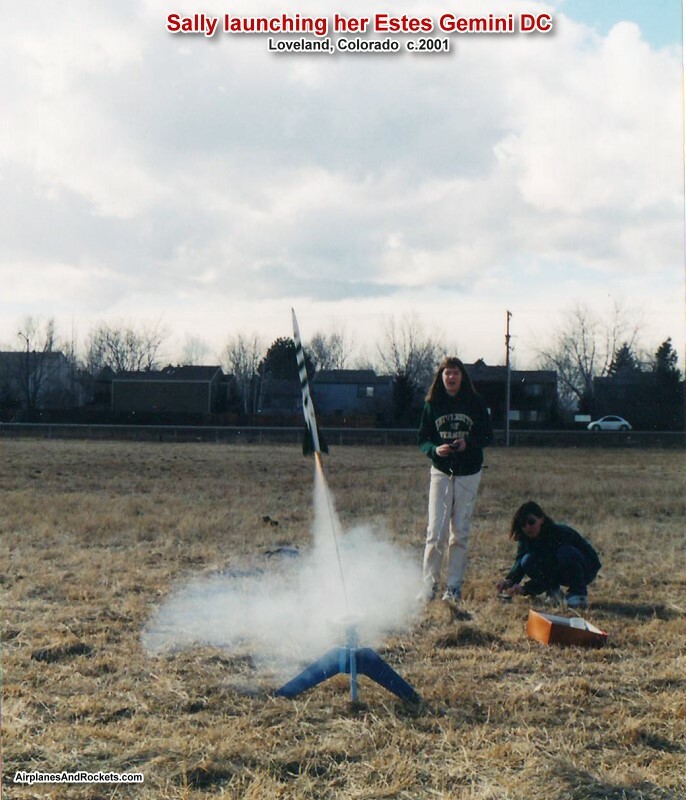 Below is a photo of Sally Blattenberger (now Cochran) launching her Estes Gemini DC rocket in the big field behind our yard in Loveland, CO (circa 2002). That's her mother, Melanie, crouching down in the background. ... and here she is catching it on the way down. 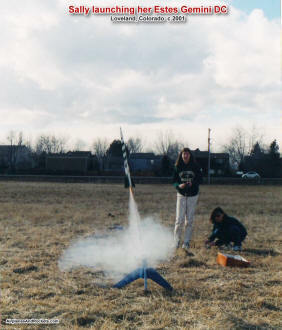 The recovery system is unique in that there are two parachutes, each of which are contained in the two short tubes on the rear end of the rocket. There are holes between the engine tube and the two parachute tubes for the ejection charge to pass.